A day without breakfast surely cannot be one of your best. lunch and dinner only. After 12 weeks, the breakfast eaters lost an average of 17 pounds per person while the other group lost an average of just 13 pounds. Breakfast is the most important meal, at least that's what nutritionists say. Being a "breakfast skipper" in my 20's and 30's, I can vouch for breakfast. It has helped me keep my weight off for the last 30+ years. The name says it all -- Break Fast. The body has been fasting all night, and now is your chance to break the fast. It's a strategy to get your day off to a good and healthy start. A higher fiber breakfast means virtually no hunger pangs between breakfast and lunch. Choose oatmeal or bran cereals and fresh fruit to keep your blood sugar on an even keel and send signals to your brain that your stomach is full. 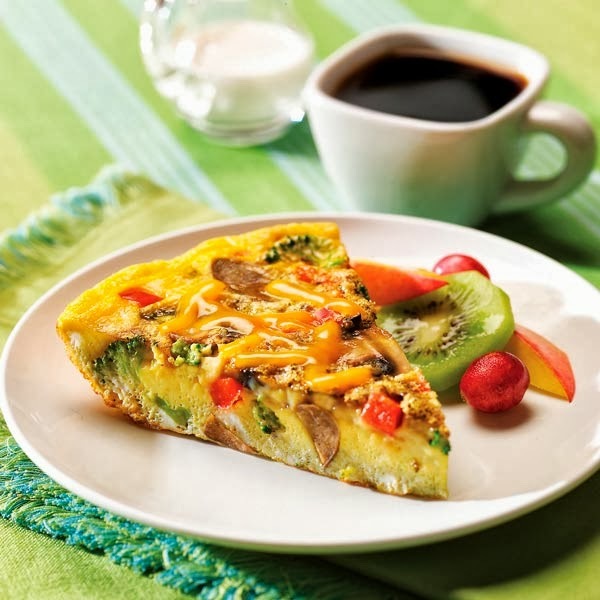 Or choose an omelet stuffed with vegetables. Having a Danish or a doughnut is the worst thing you can do. Not only are they filled with fat and sugar, they contain almost no fiber. They may satisfy your sweet tooth, but they don't contribute to that feeling of being full. If this isn't enough to sway you, breakfast also sharpens your brain. Many studies show that children who eat breakfast just do better in school. Studies also show that adults who ate breakfast did better on memory tests and also felt calmer and were more positive. Eat breakfast every morning for three weeks and notice how much more energetic you feel. Choose something healthful like a bowl of oatmeal or bran cereal. Add fresh fruit and skim or soy milk for sweetness and calcium. Or scramble some eggs with whatever vegetables you have in your fridge. If your morning is so rushed that it's hard to eat breakfast, stir some high-fiber cereal and/or wheat germ in a cup of low-fat Greek yogurt and take it with you in the car. It's important to start the day off right. Just do it! This post is excerpted from my class "Six Powerful Weight Control Strategies"